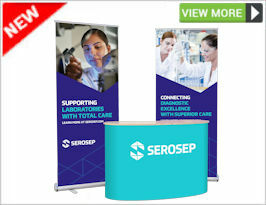 Our display specialists are available to advise you on any of our banner stand or display products and help you choose the best banner stand to effectively promote your products and services by taking into consideration your venue, personal style and budget. 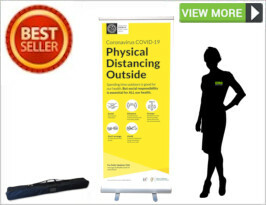 We offer a wide range of banner stands, including pull up banners, tension banners, roller cartridge banners and pop up banners to choose from simple, versatile and incredibly durable, our range of display Banner Stands will command attention in any sales or promotional environment. 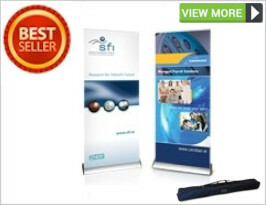 We are selective in our choice of banner stands only stock good Quality banner stand frames and mechanisms. We use Stay-flat vinyl for our banner stand graphic panels so that our banner stand material does not curl at the edges and will not allow light to shine through. Our state of the art Latex digital printers ensure photographic print quality which does not scratch easily.